The White House has once again gone on the offensive, condemning the media for constant coverage of the Russia probe, while defending President Donald Trump’s recent tweets against MSNBC host Mika Brzezinski. At Thursday’s White House press briefing, deputy press secretary Sarah Huckabee Sanders cited a study conducted by the conservative Media Research Center (MRC), which found that the media has spent more than half of their total coverage on Trump dealing with the Russian probe. For their study, MRC looked at all 364 evening news stories in the five weeks since former FBI Director Robert Mueller was appointed to oversee the Russia probe. MRC found that out of the 640 minutes that the media covered Trump, 353 minutes was devoted to the Russia investigation and sacked FBI director James Comey. “That's the numbers guys, the numbers don't lie. The media’s focus on priorities, they don't line up with the rest of America,” Huckabee Sanders said. 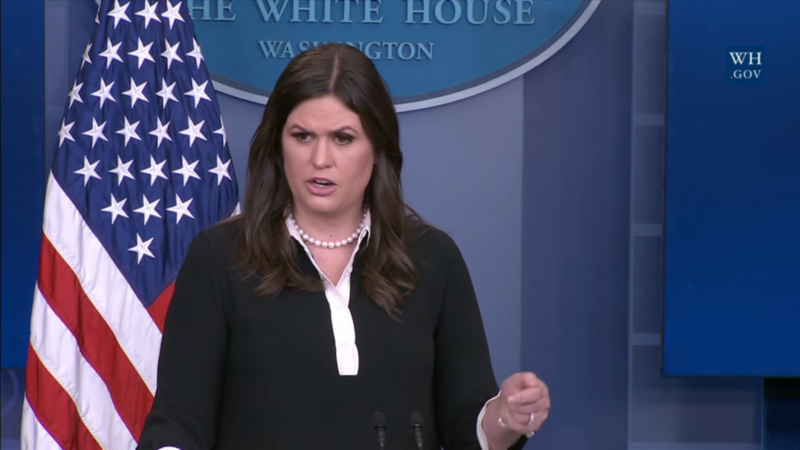 Huckabee Sanders also blasted the media for their lack of coverage on Trump’s policies, citing the MRC study, which found that the media only spent one minute covering tax reform, three minutes on infrastructure, and five minutes on the economy and jobs. The MRC study concluded that ABC’s World News Tonight devoted nearly two-thirds of their coverage on Trump to the investigation, while The CBS Evening News and NBC Nightly News each devoted around half of their coverage to the Russia investigation. They also found that one-third of the media’s coverage related to the Russian investigation and Comey was based on unnamed sources. The MRC did not mention several media outlets in their study, including Fox News. Huckabee Sanders also defended Trump for a pair of tweets we posted early Thursday morning, in which he called co-host of MSNBC’s Morning Joe Mika Brzezinski "crazy" and claimed she was "bleeding badly from a face-lift" when she was at his Florida resort earlier this year.